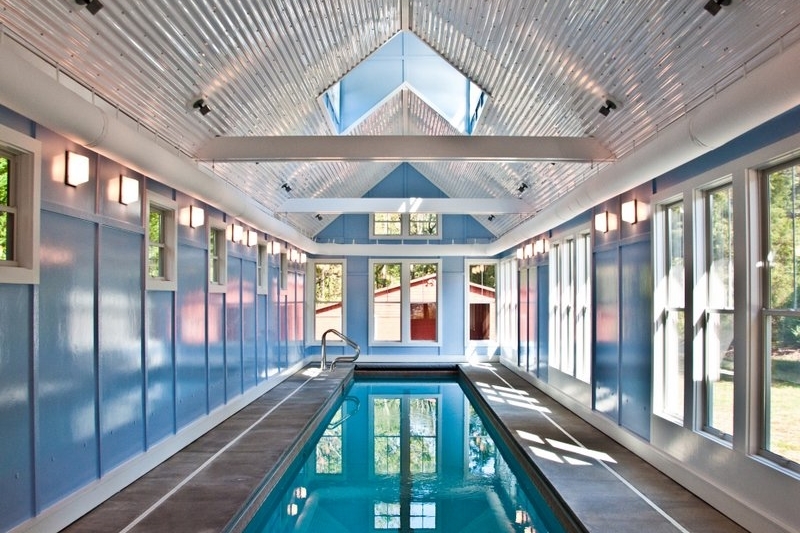 This barn-like structure was designed for an avid swimmer who wanted a space for year-round entertaining and exercise. 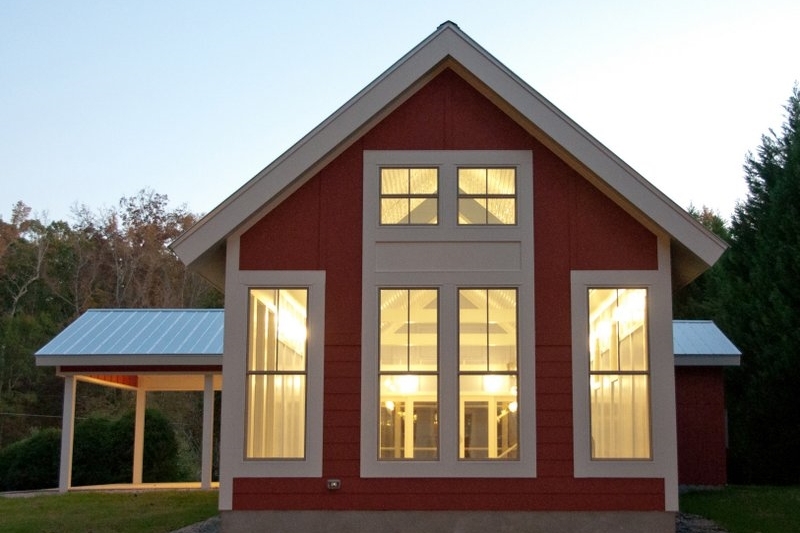 The building’s modest gable form is constructed with durable, low maintenance materials inside and out. Windows on all sides and a large dormer overhead fill the space with light and connect the fifty-foot lap pool with the surrounding pastoral landscape.